Visual planning boards are proven tools for controlling and managing your production, and for scheduling production orders. In a series of three blog posts we have compiled and outlined a total of 10 key features an intelligent and powerful planning board should offer. Here comes blog post #3 of this series. 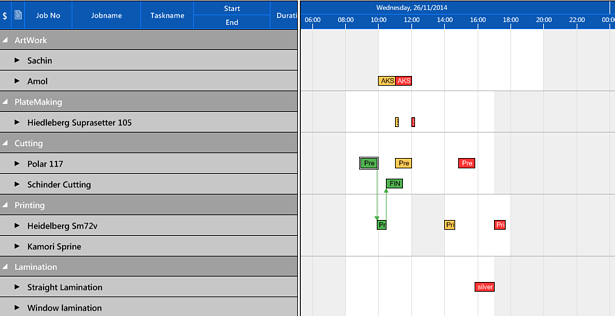 In our blog post #1 you learned how to switch views for different planning perspectives, make use of flexible resolution of the timescale and how to apply multi-level grouping visualization. These features were followed in blog post #2 by descriptions of how to use histograms for displaying capacities and by the introduction of visual alerts and visualization of dependencies. This final blog sheds a light on further 4 functions an intelligent planning board should offer. One-, two- or even multi-shift work? No problem for a state-of-the-art planning board. 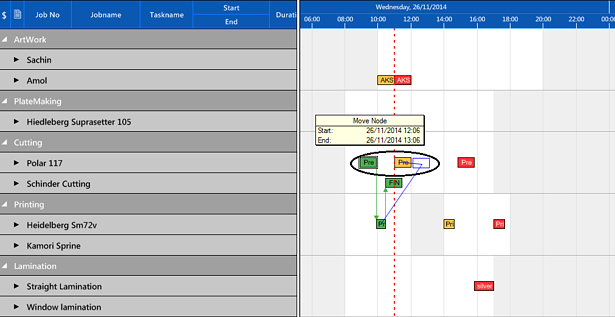 Define individual calendars with different working times for each machine or resource. It goes without saying that the individual calendars will not only be visualized but will also take effect on the (re)-scheduling. Only a plan that can be adjusted to reality is vivid and hence can be called a good plan. 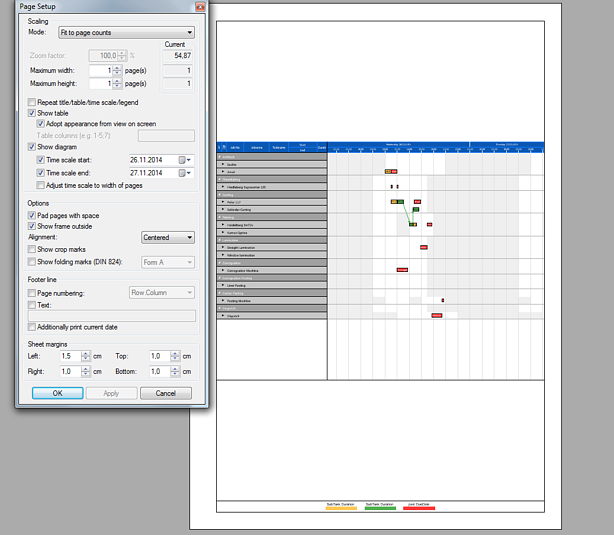 Drag and drop allows for intuitive, quick and simple planning while never losing track of the modifications’ effects on the overall plan. 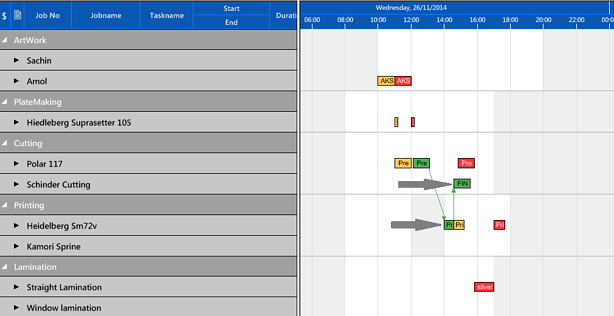 Don’t only visualize dependencies but also take them into account while rescheduling. Interlinked, i.e. dependent operations will move automatically when a node of the chain or the net is moved. Print versions of planning boards are a valuable means of communication in meetings and presentations. The print functionality enables printing of complex plans spanning several weeks for managers as well as a production execution plan for the next work week. Want to have all 10 functions summarized in one issue? Download our free checklist here.